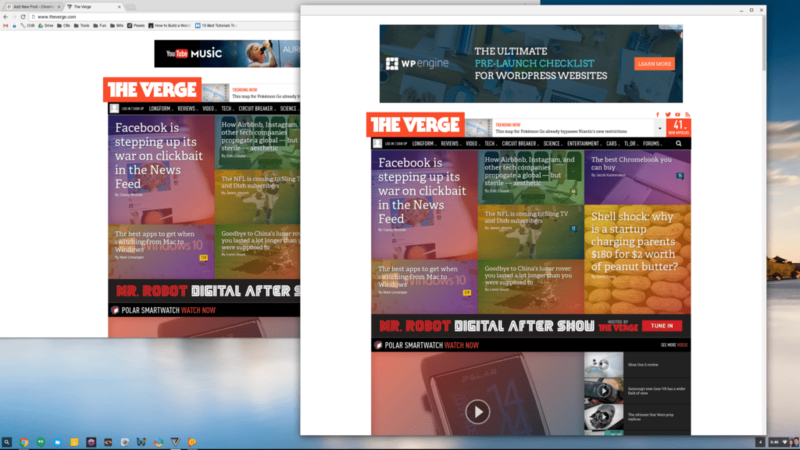 At some point in the past few weeks, one of the updates to Chrome OS silently removed a feature that we’ve talked about being one of the best – if not under-utilized – features of using a Chromebook: Add to shelf. Overall, the change here is subtle, but you can easily miss it. Now, if you want a website or web app on your shelf, you’ll need to look for “Create shortcut” in the menu of your browser. This essentially does the exact same thing, but there is one feature missing: the choice to open in a window. Fear not, there is a simple solution to this as well. 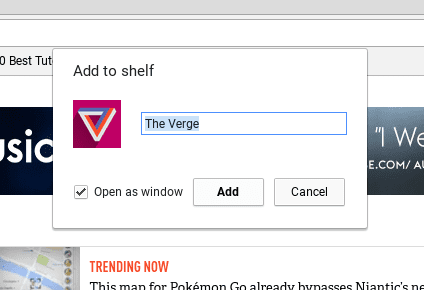 Once you’ve named your new shelf icon, you simply need to right click that icon and select “open in window” to get your app-esque function back. I know it sounds small, but we’ve already received questions about where the “add to shelf” went and thought it was worth the time to talk about where it went and help some of you get the feature back up and running as you’ve always done. I’m totally fine with the nomenclature change, I just wish the “open as window” option was presented upon the icon creation. Hopefully, it is just an oversight and will be remedied in an update.